Keep your home cool in the summer and warm in the winter with an innovative, efficient, and nonintrusive system that's as suitable for retrofitting as it is for new construction. For homeowners who have witnessed their energy bills rise ever higher over the years, heating and cooling represents a constant push-and-pull between livability and affordability. While there’s no disputing that HVAC systems are necessary to ensure year-round comfort, it’s unfortunately also true that these systems are household energy hogs, accounting for about 50 percent of the monthly utility bill. Thankfully, there’s good news: The march of technology has brought new HVAC options to the fore, and the next generation of indoor climate control offers the best of both worlds—that is, unparalleled comfort delivered efficiently enough to minimize the cost of operation. There are many alternatives to traditional forced air that are worth considering, but there may be none more intriguing than the Unico System. With its barely noticeable vents and whisper-quiet operation, the Unico System calls no attention itself—that is, until the utility bill comes in the mail with a pleasing total that attests to the system’s efficient operation. Installed at the heart of several award-winning, envelope-pushing green homes—in the Department of Energy’s Builders Challenge and Race to Zero competitions, for example, and the annual GreenBuild Expo—Unico System has earned a reputation for energy-saving, eco-friendly HVAC innovation. There are multiple ways in which Unico promotes efficiency. First, the small, flexible ducts are virtually leak-free, while the full-size metal ducts in a run-of-the-mill HVAC system create a huge potential for leakage. In fact, air leaks and thermal loss can compromise system efficiency by 25 percent or more. By contrast, Unico’s mini ducts feature nylon inner cores and are sheathed in closed-cell insulation. In combination, the added layers eliminate air leaks and thermal loss, and in so doing prevent the waste of energy. Second, the system leverages the principle of aspiration, ensuring that the conditioned air draws in the ambient air to bring about an even temperature across the entire home. The house stays neither too hot nor too cold, so homeowners save by not having to turn the thermostat up or down, depending on the season, in order to combat discomfort. Even a few degrees matter to the bottom line! With the Unico System, in the summer homeowners can actually set the thermostat a few degrees higher than usual. That’s because the system employs advanced cooling coils, which remove up to 30 percent more humidity than conventional AC. Lower humidity, of course, means greater comfort, but it also means savings, with each one-degree increase in the set temperature translating to a 3 percent cut in energy use. Over time, the savings really add up. For maximum efficiency, consider the new iSeries, a system that allows you to use Unico’s ducting, or a ductless high-wall split, or the two together. 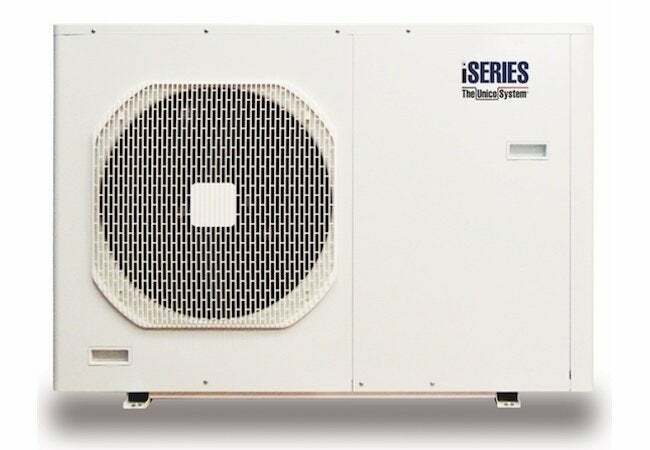 Driving the iSeries is the inverter unit, which works in an ingenious way. 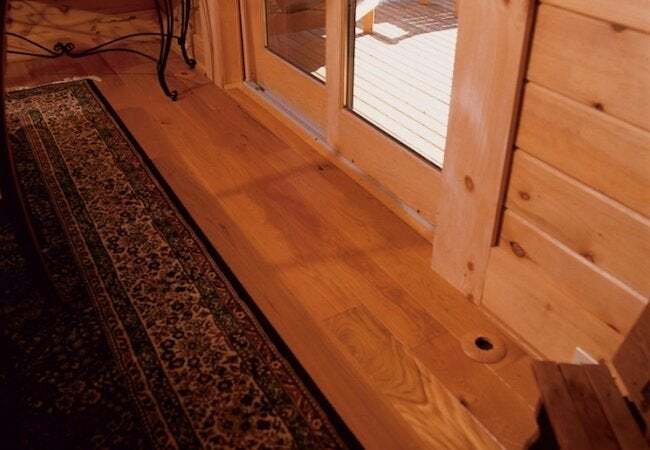 In the winter, it harvests heat from the outdoor air and sends it indoors. In the summer, it does the opposite, expelling heat from the home. Able to either heat or cool, the inverter effectively replaces both the furnace and AC compressor. What makes the iSeries so efficient? Most important, it avoids one of the energy-hungry hallmarks of traditional HVAC. Typical systems operate intermittently, turning on and off, on and off, in a constant cycle. Although it seems counterintuitive to saving money, the iSeries runs continuously, but at a lower power level. This minimizes energy consumption—and in the process, achieves a remarkably high Seasonal Energy Efficiency Ratio (SEER). Indoors, an iSeries high-wall mounted unit auto-adjusts its output to match the demand, while its fan distribution ensures even coverage. Best of all, if you choose to install multiple indoor units, the iSeries allows for zoning. That means that you can establish different zones rather than setting one temperature for the entire home, so you can economize on climate control in those parts of the home that you’re not occupying. This is such a simple, effective way to save! It’s a common homeowner complaint: HVAC costs an arm and a leg. But in light of the latest technology, that may no longer hold true. 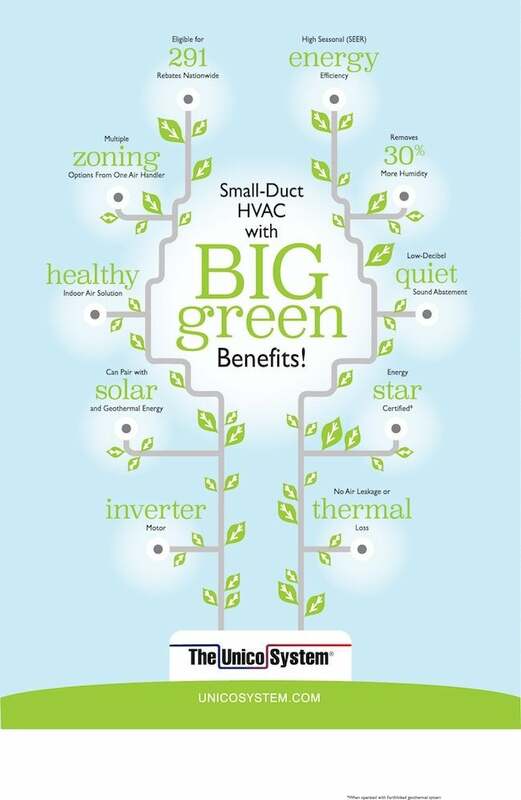 Nonintrusive, versatile, and efficient enough to help homes achieve LEED, National Green Building, HERS and Zero Net Energy certifications, the Unico System proves once and for all that comfort and savings are not mutually exclusive. 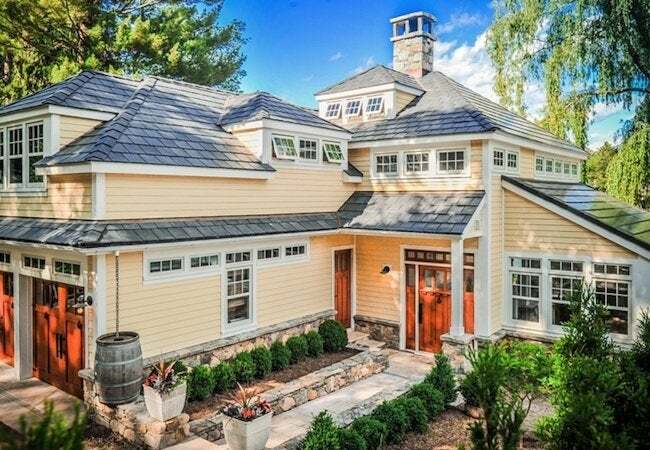 In the past, homeowners had to sacrifice one or the other—but not anymore. Want to find a Unico-certified installer in your area? Visit the Contractor Locator now! This post has been brought to you by Unico. Its facts and opinions are those of BobVila.com.